VaporFi VAIO 80 TC Mod Review - Daily Vaping Deals & The Best Vape Product Reviews at Vaping Cheap! All in one devices have become increasingly popular, and I have seen many released last year into this year. These types of devices typically provide the user with a built-in tank and device. With how fast this industry has grown, we have seen some great all in one devices, and some of them feature temperature control, high wattages, low firing resistances and more! These types of devices are great, because it gives the beginner an easy way to start vaping and quit smoking. It is much harder for someone to start off with a box mod and an atomizer rather than an all in one device. Firstly, I would like to thank VaporFi for sending this device my way for review. In this review I will go over what I do not like and what I like about the VaporFi VAIO 80 TC Mod. In addition, I will conclude by telling you whether or not I recommend this device! The packaging this device came in was relatively simply, but informative. The front of the box states what device is within the packaging alongside a picture of this device. On the back of the box it gives more information about the VaporFi VAIO 80 TC Mod, states what this packaging includes, and some warnings. The first thing I noticed when I received the package was how heavy it was. I was certainly surprised about the weight, as I did not expect a product like this to be hefty at all. Upon taking off the top cover of the packaging, the VaporFi VAIO 80 TC Mod is revealed. The device is protected in what seems to be a hard foam material, which is definitely a pro. When first holding the device, I noticed immediately of how heavy it was. Like said before, I honestly did not think this device would be heavy at all, but I was certainly wrong. However, with its weight and feel, it definitely felt of high quality. I received the stainless steel version, and it looks more of a brushed stainless finish, which I did find appealing. There are two other colors available, which are red and black. 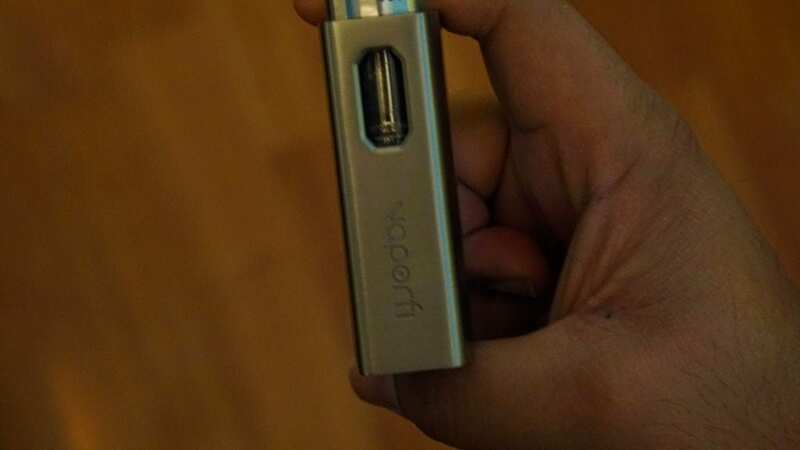 The word VaporFi is deeply engraved on the back of the device, where the tank section is viewable. This definitely gave it an elegant appearance, and gave the device a much more premium look overall. Underneath where the device was inside of the packaging, there was an additional coil, an adapter for you to use other atomizers, a micro USB cable and a user manual. This is definitely a vape starter kit aimed towards the intermediate user and advanced user. This is certainly not for someone just starting to vape as it does offer many features, which I will get into later. However, if you are more interested in vape starter kits that are aimed more towards beginners, feel free to check out our Vaping: 101 The Beginners Guide to Vaping article right here! This article goes more into detail about some other vape starter kits that are great for beginners as well as some other crucial information about vaping! You can also click the link down below if you are interested! Click Here to Check Out the Vaping: 101 The Beginners Guide to Vaping Article! I was happy to see an additional coil, as it gives the user a decent amount of time using the device before actually having to purchase any replacement coils. In addition, they included two different coils within the packaging, which was another huge pro. This device features a relatively larger screen, and it is easy to see. However, in direct sunlight you may run into issues seeing the screen, but in most situations it was just fine. Like said previously, this device was pretty hefty, so holding it was definitely something I had to get used to. I typically use smaller devices that are much lighter in comparison. This device is not large by any means though, it is definitely on the smaller side, which I think is a huge pro. I think all in one devices like this are better off being more travel friendly, rather than being huge. Also, this device is comfortable to hold. Since it is rather small, but heavy, I think it just gives it a comfortable feel. The weight makes you feel like you are actually holding something of value. The buttons are relatively flush to the device. I did not find that this was an issue, because when you are pressing each button, it provides a satisfying clicky feedback. The drip tip included also seemed comfortable, and the airflow adjustable was easy to turn. In addition, it was easy to completely take off the drip tip section to access the tank. I did not notice any fill line, which is certainly a con. When you take off the drip tip section, it does reveal the attached coil. The pre-installed coil is the VaporFi Notch coil, which has a resistance of 0.25 ohm. It is extremely simple to install coil heads on this device, which was certainly a huge pro. With devices like this, you cannot fill it to the top as there needs to be room when you put the drip tip section back on with the coil attached to it. If this device if filled completely to the top, you will get leaking issues. This device can be charged with a Micro USB cable, which is included. A huge pro is that the charging port is on the side of the device rather than the bottom. The drip tip is removable, and you can use any 510 drip tip you prefer. This is definitely a huge pro, as I know many people like to use their own preferred 510 drip tips. However, some drip tips may not look the greatest due to the design of the drip tip section. Overall, my first impressions of the VaporFi VAIO 80 TC Mod were great. This device definitely felt more on the premium side, and was certainly comfortable to hold. The performance of the VaporFi VAIO 80 TC Mod was great overall, but there was one serious drawback. The spit back I was getting from both of the coil heads were literally unbearable at first. However, when there was little to no spit back, the performance I was getting out of this device was actually really good. The only way I found to stop the spit back from happening was to purge before taking the initial vape. Purging is when you blow into your atomizer before taking a vape. Typically people would do this with coils that require a ramp up time such as a Fused Clapton coil. This would work most of the time, but there were times where it did not and I still had tons of spit back. I noticed the spit back would be much worse if I filled the tank up completely. When I filled the tank say half way or a bit more, the spit back was not that bad and was completely gone when I would purge. When I would purge to fix the spit back issue, I would occasionally have e-liquid come out of the airflow. This would happen much more often when the tank was full. Once you do purge, and clear any e-liquid, you do not really have to continue to purge, which was certainly a relief. Even though I do purge a lot on my RDAs due to their builds, I honestly did not want to purge with this device since there was no need to. This is definitely a major con for this device. I am not sure if it was the coils I received that were the issue or if all coils are like this, so please keep this in mind. Going back to the performance, when the coil heads were fine and I experienced no spit back, it was surely great. I preferred the 0.25 ohm VaporFi Notch Coil Head over the 0.5 ohm SS316 coil head. The flavor and vapor production was better overall on the Notch Coil. However, the 0.5 ohm 316 coil head did perform well, but just not as well as the Notch Coil in my experience. The flavor was pretty good overall, and was definitely satisfied with it. The vapor production as well was solid. I would usually vape the Notch Coil between 40w and 50w. This provided me with a warmer vape, which is what I prefer. I do think that the notch coil head performs much better at higher wattages rather than lower wattages, so this is definitely something to keep in mind. The 0.25 ohm VaporFi Notch Coil did last a decent amount of time as well. I put at least 50ml of e-liquid through this coil, and it was still performing great. This of course can vary depending on the e-liquid you are using. This device has a maximum wattage output of 80w, but really isn’t needed with the included coil heads. With the 0.5 ohm SS316 coil head, I preferred to vape it at about 40w maximum. It is nice though to have this amount of wattage available, if in the case you require it. I did use this device in temperature control, since both of these coil heads are composed of stainless steel wire. The temperature control worked fine, and I actually preferred to use this device with its own preset SS316 TC mode over the TCR mode. For some reason when utilizing the TCR mode, I would run into issues with it hitting temperature protection extremely fast; therefore not providing a satisfying vape experience. I did use the TCR coefficient of 92, which is the TCR setting most vapers use for SS316. I did try other TCR coefficients such as 88, 108 and 89, but they resulted in the same issue. This could have easily been my fault that the TCR mode was not working, but it is still worth mentioning. It is important to note that I did leave the device alone for a bit before locking the resistance, and attempting to use TCR mode. It is certainly a pro that this device with its base SS316 setting worked fine, and provided me with a satisfying vape experience. However, I preferred to use both coils in wattage mode as this is something I prefer, and may be different for you. In addition, another huge pro is that this device features resistance lock. This is extremely important when using temperature control, so was certainly glad to see it featured. This device does feature temperature control for other wire materials such as Ni200, but I could not test it since these coil heads were stainless steel. Going through the menu system is fairly simple, and it took me under an hour or so to really get the hang of it. If you are used to more advanced box mods, then this will definitely not be an issue for you. Also, this device features an LED Tank light, which lights up when you are pressing the fire button. I did not bother taking it off or changing the color, but it is a nice feature to have. This is certainly handy if you are vaping in a dark area, because it allows you to easily see how much e-liquid is in your tank. I did notice that at higher wattages this device can go through e-liquid relatively quick. However, with my preferred wattage and constantly vaping, I could easily get two hours of vaping before needing to refill. The included drip tip was also comfortable to use and I did not feel the need to change it. All of my 510 drip tips I own fit this device with no issues, but some did look quite awkward due to the design of the drip tip section. The airflow was also very good. It was not turbulent in any way, and provided me with a nice restrictive lung hit. It is not extremely airy, but airy enough for a satisfying lung hit. I preferred to close off the airflow just a touch when using this device, as this provided me with a more restricted lung hit. In addition, it is relatively easy to adjust the airflow, but if you turn it too much you can easily unscrew that section to access your tank. This did not happen to me often, but it is still worth mentioning. This device features an internal 2100 mAh battery, and I know battery life is probably one of the most important aspects of this device. With pretty constant vaping at about 40w I did get about three to five solid hours of battery life. This could vary by usage of course, but I would typically get about four hours of battery life with constant vaping on the VaporFi VAIO 80 TC Mod. I thought this was pretty good overall, especially since this is not a large capacity battery. If I were vaping much less overall, I could easily get a day of battery life out of the VaporFi VAIO 80 TC Mod. This device does feature 1A charging, which is certainly not the fastest, but it did get the job done in about two hours or so on average. I did not time it exactly, but it was around that time length. Charging this device did not really take too long, but if it was completely dead, then it would take about two hours or so. If the battery was about half way charged, it could probably be charged within an hour or so, which was certainly a pro. Given the size of this device, and the battery capacity, I think it performed quite well in regards to battery life. However, if you decide to use a different atomizer with the VaporFi VAIO 80 TC Mod at higher wattages, do not expect great battery life. 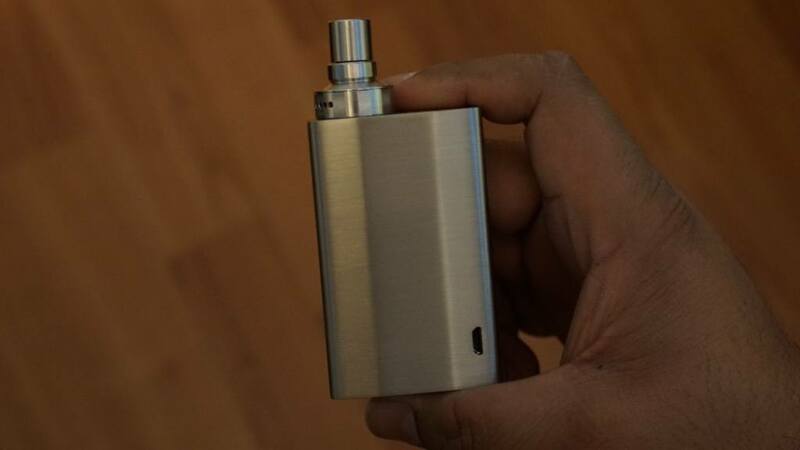 When using this device at its full 80w with an attached atomizer, the battery life was not the greatest. This, of course is to be expected due to its battery capacity. I did not experience any issues with the included adapter which allows you to use other atomizers of your choice. I mostly used this device with the built-in tank, since I feel that most people who are interested in this device would generally use it this way. Also, when using this device I got used to the weight of it rather quickly. Honestly, I was happy with its weight and size afterwards. Overall, the performance of the VaporFi VAIO 80 TC Mod was great aside from the spit back issue. Once the spit back issue was resolved, the performance was exceptionally satisfying! In the next section, I will go over the cons of this device! The one major con for this device in regards to performance is the spit back issue mentioned. Honestly, I am not sure why these coils have so much spit back, and I did try multiple different e-liquids to see if that would resolve the issue, but it did not. Like said previously. the only way I found to resolve this issue was to purge this device before vaping it. This did help tremendously, but I still ran into this issue when the tank was full even when purging. This is definitely a major con, as no one really wants to take additional steps to get a satisfying vape experience. Like I said before, I am not sure if it was my coils specifically that were the issue, but it certainly could have been. The second con is the battery life. This is more of a subjective con since it should be expected that you will not get incredible battery life with this device due to its capacity. 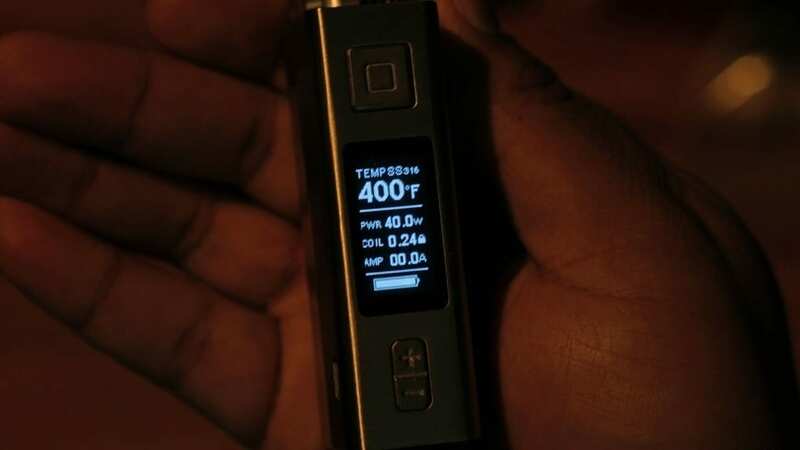 I do think that the battery life was solid overall given its capacity and size, but this still has to be mentioned as a possible con, because some vapers will probably want more battery life out of this device. If you vape at lower wattages, then this is probably not a concern for you. The next con is also subjective, which is the weight of this device. This device is rather hefty, especially considering its size. Some may want a much lighter device to travel with, hence is why this is being listed as a con. Another con is that there is no visible fill line. I am not sure if it is because my device had a brushed stainless steel finish, and I could not see a fill line, or if I am just not looking at the right area to spot the fill line. Regardless, this was a con for me since I did not know how much exactly to fill this tank in order for it not to leak when reinserting the coil head and drip tip attachment. This leads me into the next con which is the e-liquid capacity. 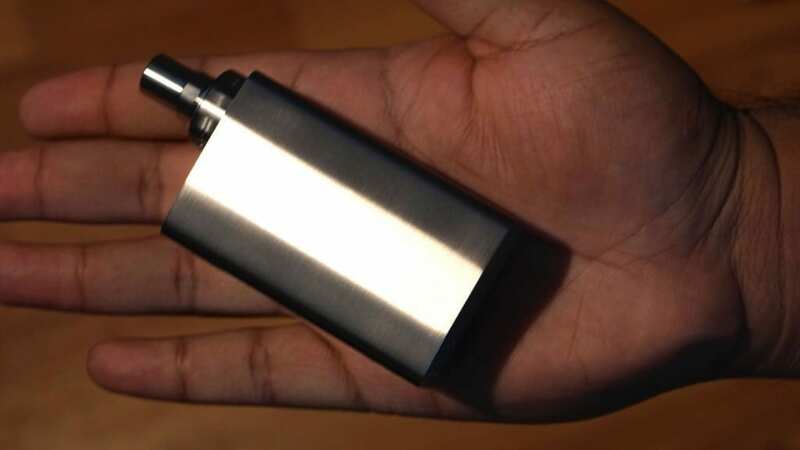 This device has an e-liquid capacity of 3.5ml, which is a decent amount. However, depending on how much you vape and the wattages you use, it can certainly go through e-liquid quite quickly. The last and final con to the VaporFi VAIO 80 TC Mod is the price. This device is definitely on the pricier side, so it has to be mentioned as a con. Overall, I am extremely satisfied with the VaporFi VAIO 80 TC Mod even with its mentioned cons, which leads me into the next section, my conclusion! In conclusion, the VaporFi VAIO 80 TC Mod is a great compact all in one device. It certainly has a premium feel to it, which makes this device great to hold and definitely eye appealing. This device definitely has some drawbacks, especially with its spit back issues. I am glad this is resolved with a simple solution, but it still is a con regardless. However, when this issue is resolved, this all in one device performs great. The flavor and vapor production is satisfying. In addition, I do get a nice warm vape from the VaporFi 0.25 ohm Notch Coil at slightly higher wattages, which is a huge pro for me. 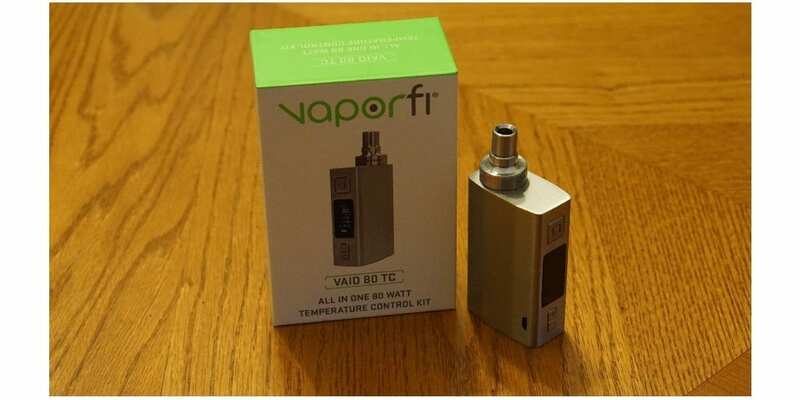 The VaporFi VAIO 80 TC Mod does offer some great features such as temperature control. It is a huge pro that they do give you coil heads that can be used in temperature control mode, and many people do like notch coil heads. In addition, the included atomizer attachment is definitely a huge pro, so you are not just stuck with the built-in tank and can use other atomizers if preferred. The battery life overall was pretty solid given its size and capacity. Also, charging this device is relatively fast, even though it is only 1A charging. All in all, I am quite satisfied with the VaporFi VAIO 80 TC Mod. This all in one device provides me with a satisfying vape experience, and acts as a travel mod for me when I am on the go. If you can deal with the spit back issue and having to purge before having the initial vape and the price is not an issue for you, then I can easily recommend the VaporFi VAIO 80 TC Mod. However, I do recommend this device to intermediate or advanced users. If you have any questions or comments, feel free to leave them below! Thanks for reading!